It is too hot outside. 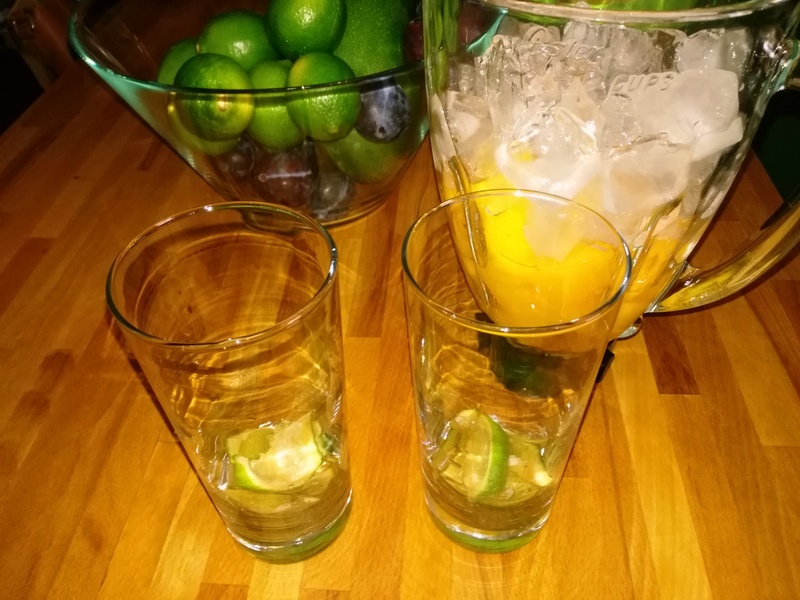 It’s time to cool off! 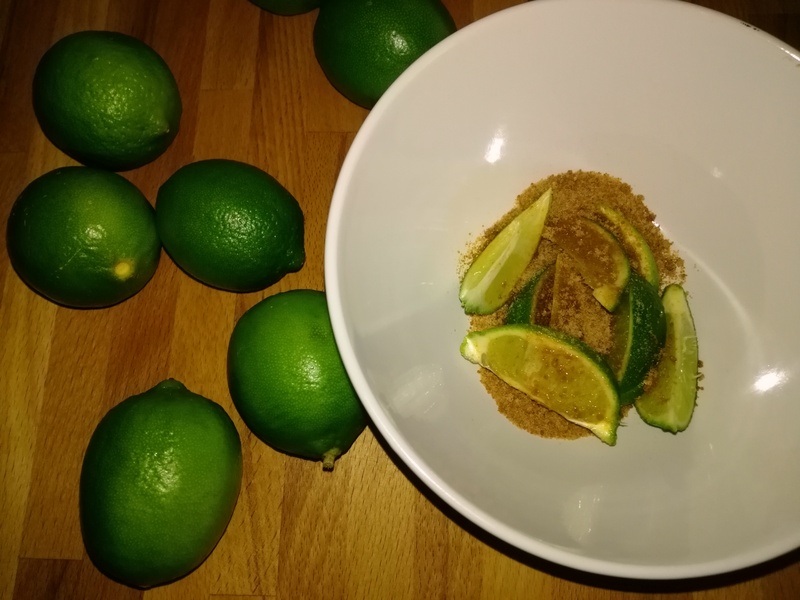 Muddle 8 lime wedges and 4 teaspoons raw cane sugar in a bowl. 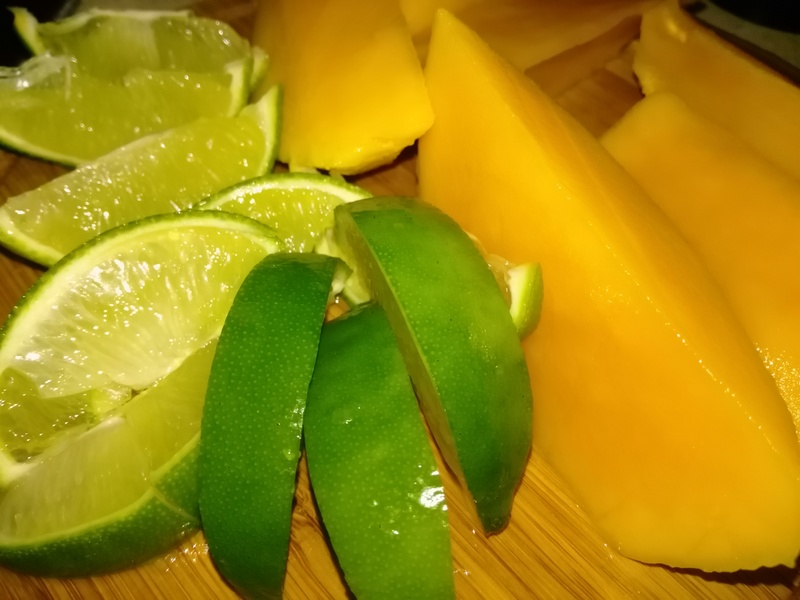 Cut mango is a small pieces. 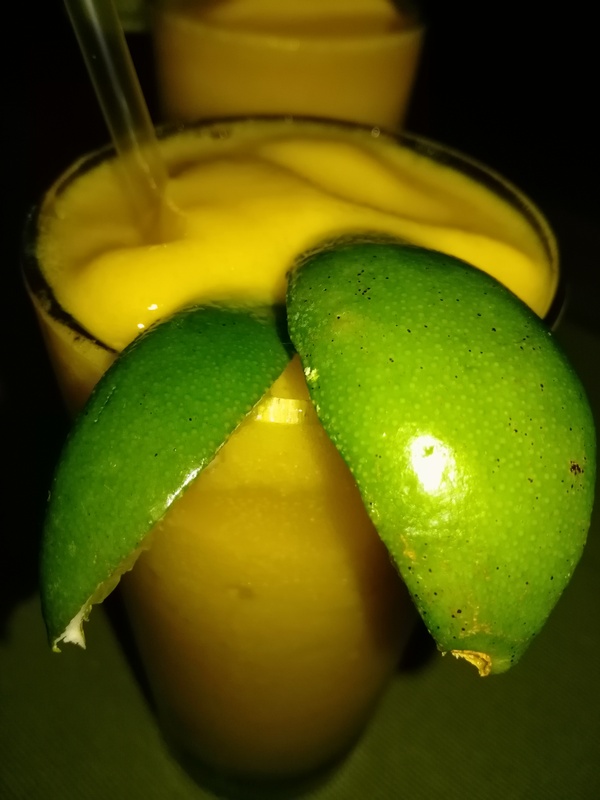 In a blender, combine mango, Cachaça, and ice; add juice made from lime wedges and raw cane sugar (leaving lime wedges and splitting between two glasses), and blend. Pour everything into two tall 16 oz. 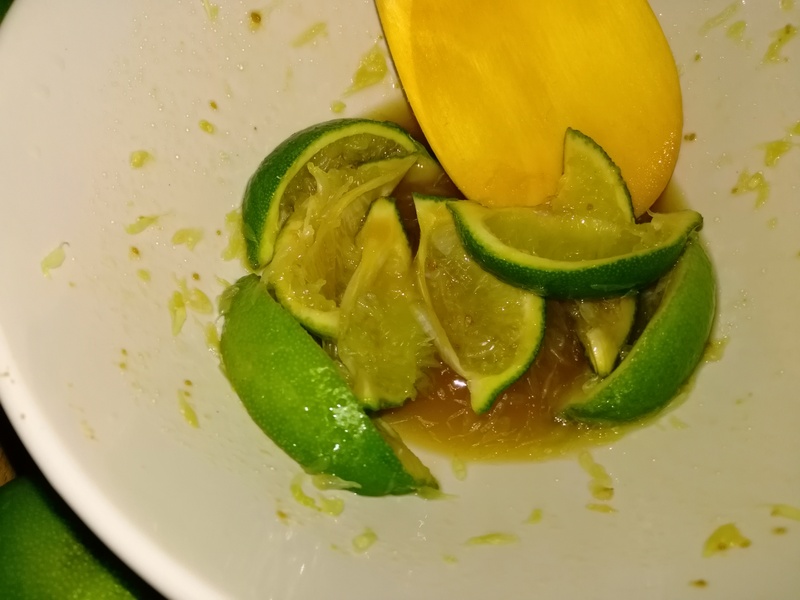 glasses with remained lime wedges.Garnish with lime.